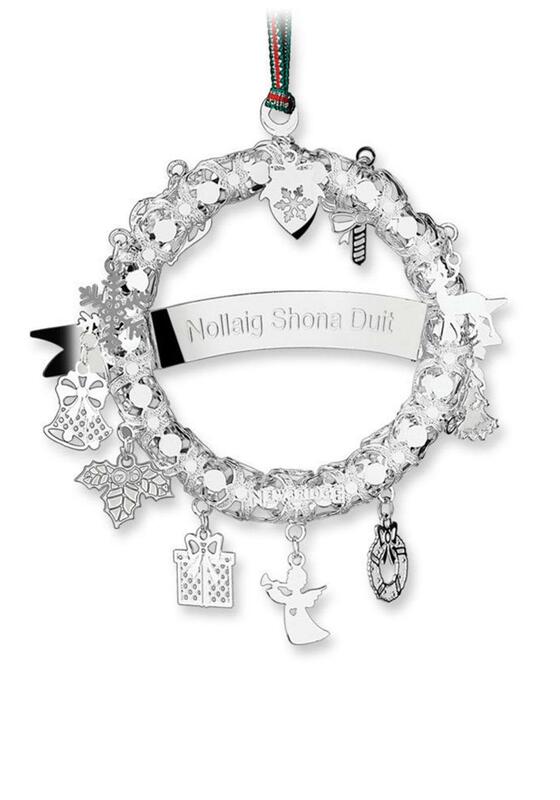 Send an Irish Christmas greeting with this exquisite Newbridge decoration. An intricately detailed wreath is decorated with small charms and features a banner with a traditional greeting written in Gaelic. The ideal token to send to friends and family overseas. Finished with a festive ribbon and presented in a Newbridge Silverware Christmas collection gift box.